Don’t get me wrong; I had a wonderful two weeks in England and Scotland; I visited with family, did a lot of sightseeing and enjoyed myself; but to paraphrase Dorothy in the Wizard of Oz – there’s no place quite like home, is there? Back with the rest of the immediate family (the trip was just me and my youngest son); back closer to immediate family and extended family and friends; and of course back to business and you, my wonderful stamping friend and customer! I do hope that you continued to visit my blog posts, and the 2 weekly challenge posts for both the Watercooler Wednesday and Paper Craft Crew Design Teams, as I did work and schedule these posts ahead of my trip. That’s right – World Card Making Day is coming up this Sunday, October 1st! Of course, we in the crafting industry can’t just celebrate for one day, so we take the whole week to not just celebrate, but to shop and create! These are essential that you can use all year long – but get them on sale for 5 days only! 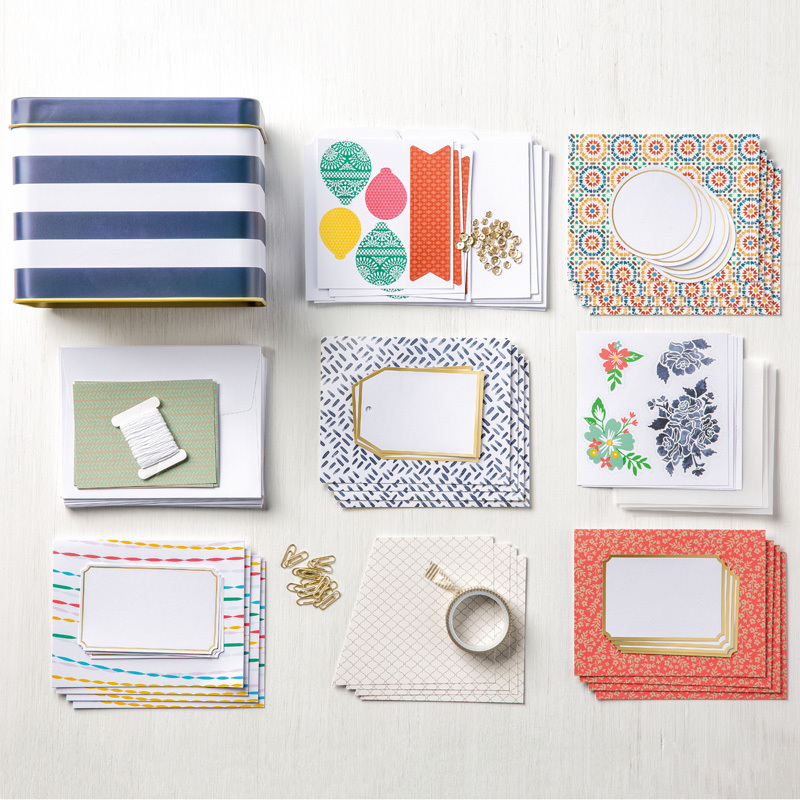 I know I’ll be stocking up on my cardstock – and look at that – the Envelope Punch Board is 25% OFF! Ready for the next great Sale? This sale coordinates perfectly with the Oct. 1st – 5th World Cardmaking Day sale – coordinate your sale cardstock with this fabulous Designer Series Paper Sale! Buy ANY 3 of the listed Designer Series Paper, and GET THE 4TH ONE FREE! Two of the selections are in the new Holiday Catalogue, perfect for your Holiday projects and Christmas Cards! Wondering what you could make with all that Designer Series Paper? No worry – over the next few days I’ll be sharing some great ideas with you for card layouts! Time is running out!! 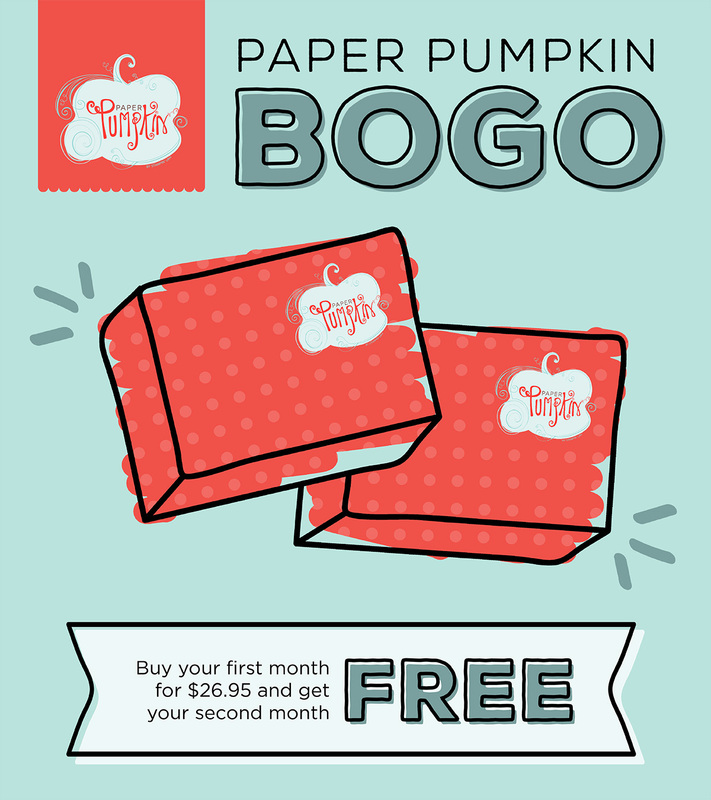 You only have until October 10th to sign up for your Paper Pumpkin subscription – pay for the first month, and get the 2nd MONTH FREE! It’s easy peasy to sign up – just click HERE, and you’ll be taken to the sign up page. This offer is for new subscribers (you must have a valid email address that hasn’t been used before for a Paper Pumpkin subscription). Did you see the current Paper Pumpkin kit, for September?? Oh my gosh – it’s adorable, and perfect for giving out Hallowe’en or party favours! Now, when you sign up for your Paper Pumpkin, the first kit you’ll receive is for October – not the kit above. But – want to know one of the PERKS about being a Paper Pumpkin subscriber?? 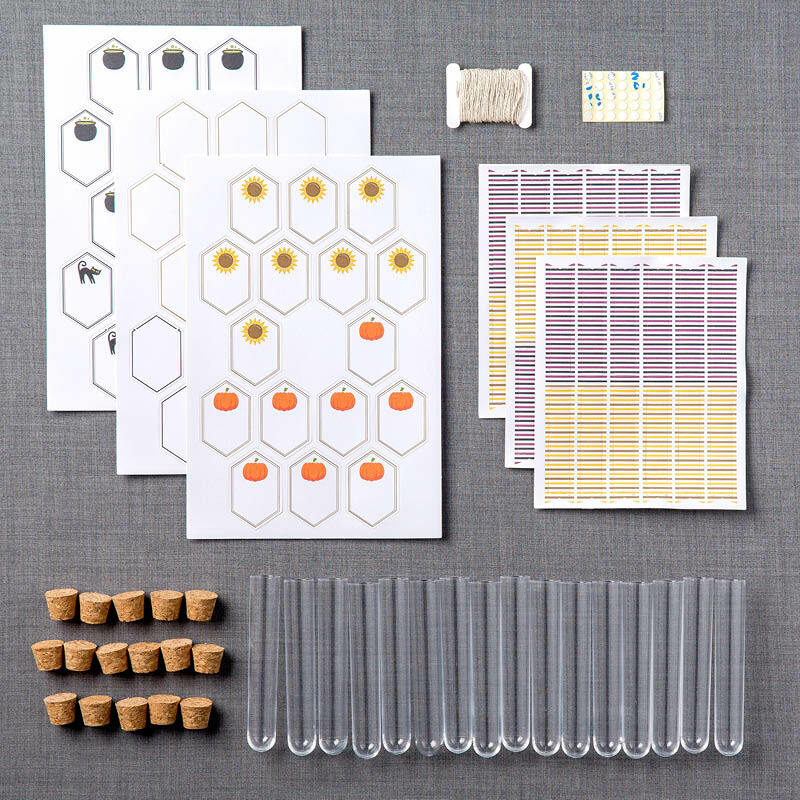 You get to order PAST KITS, AND REFILL KITS! Also – each month, Stampin’ Up! puts out a video on how to use the Paper Pumpkin kit; both following the directions as planned, and also offering alternate ideas! Here’s the video with Carrie showing us fabulous alternate ideas for the September kit – in case you need more ideas! Well – I hope I haven’t overwhelmed you with too much information! Don’t worry – I’ll be reminding you about all these amazing deals, so that you don’t miss out! 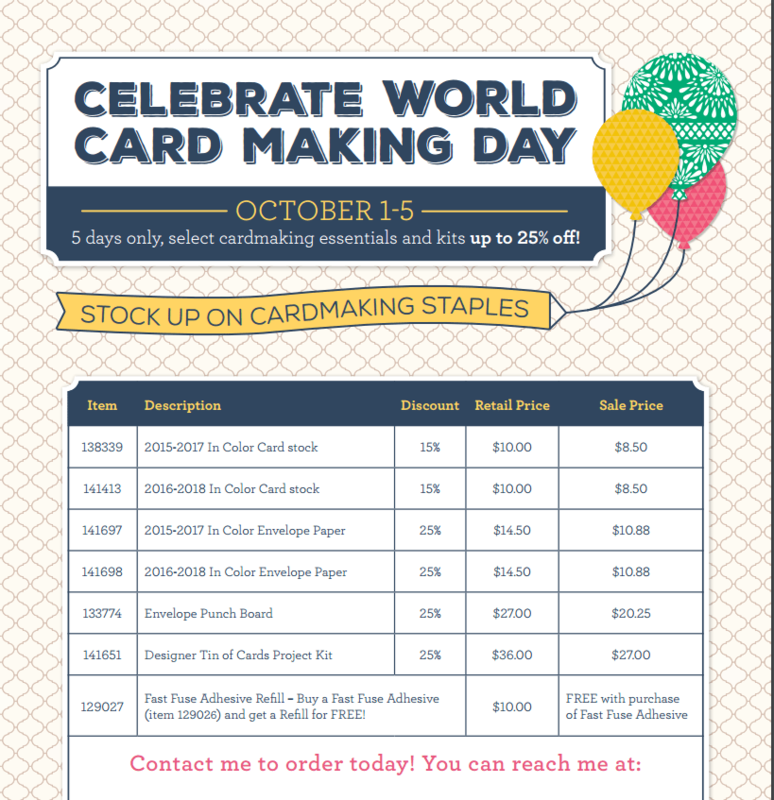 October 1st – 5th – Card making Essentials on Sale! 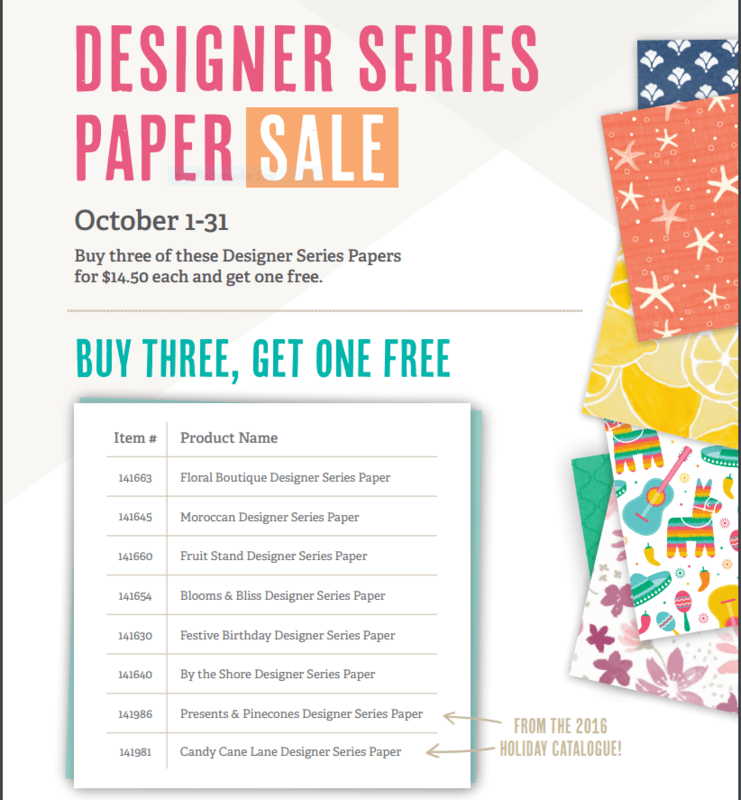 October 1st – 31st – Designer Series Paper Sale!